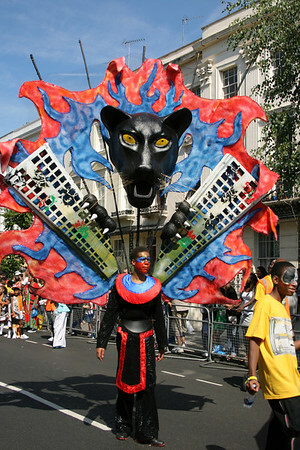 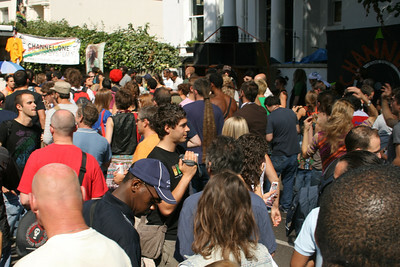 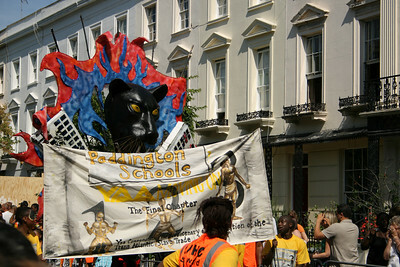 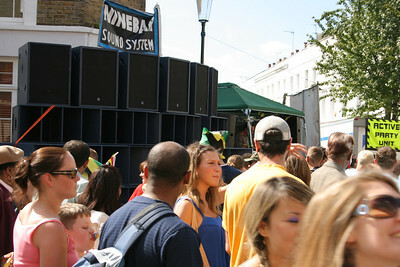 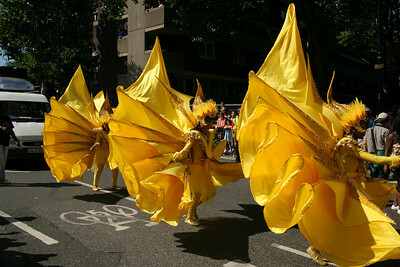 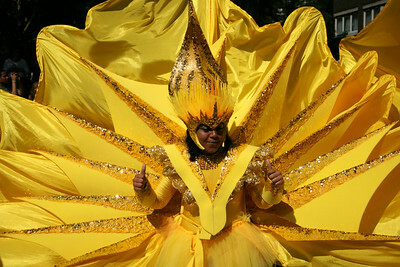 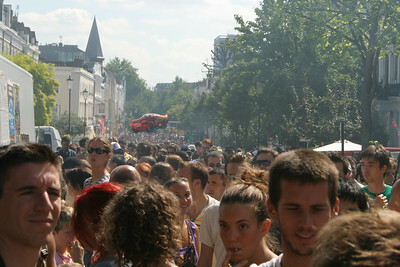 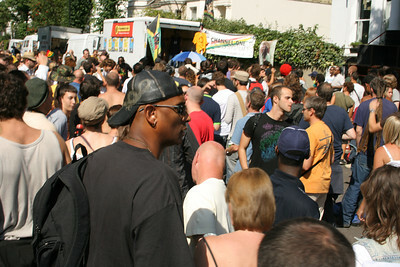 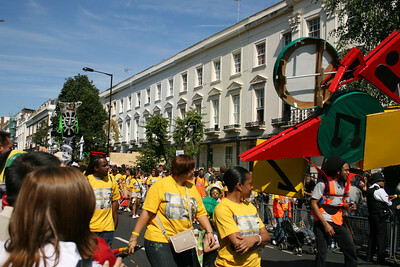 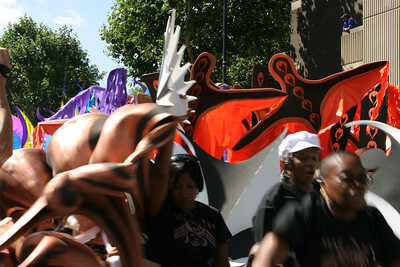 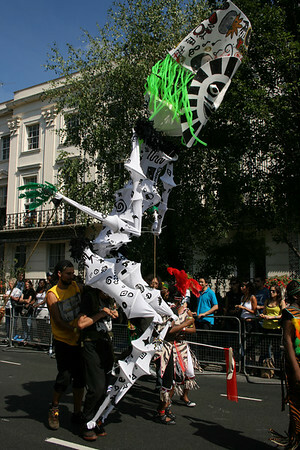 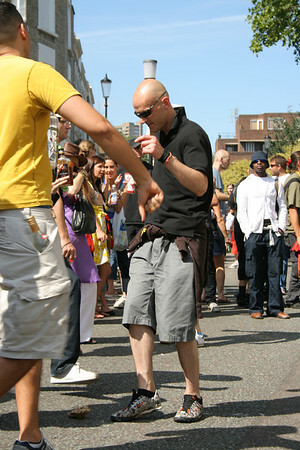 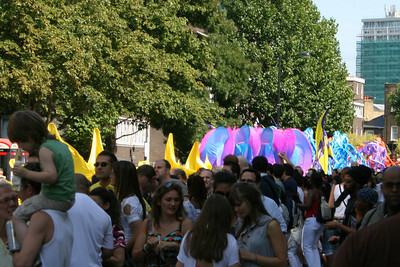 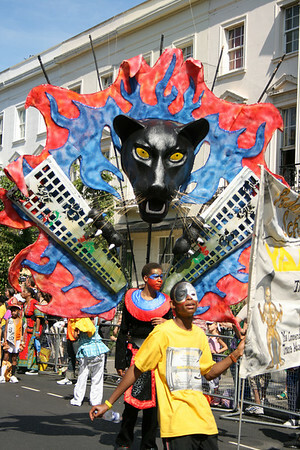 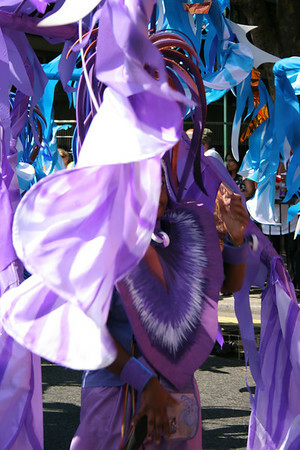 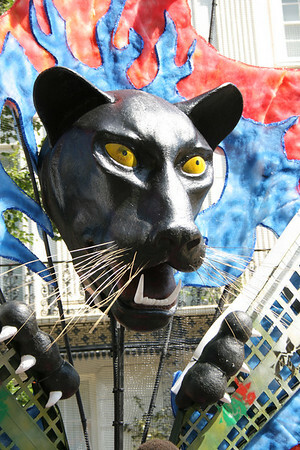 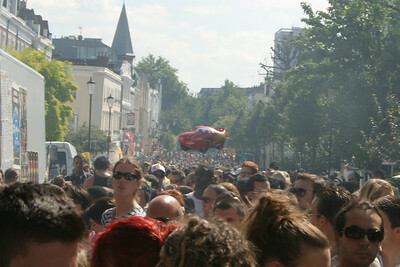 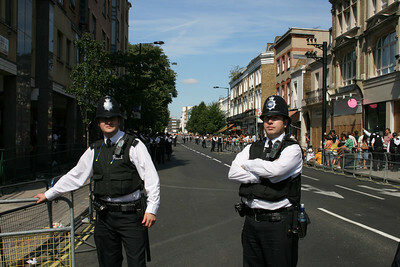 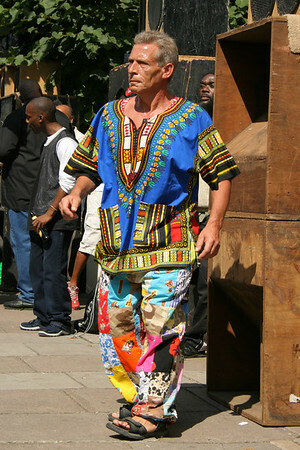 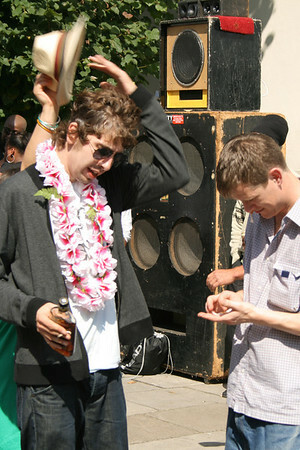 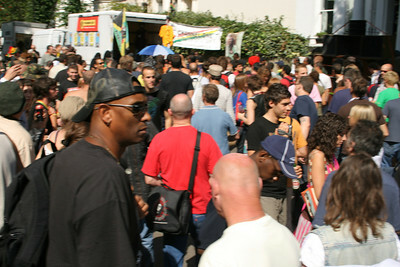 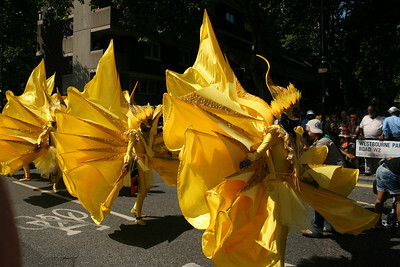 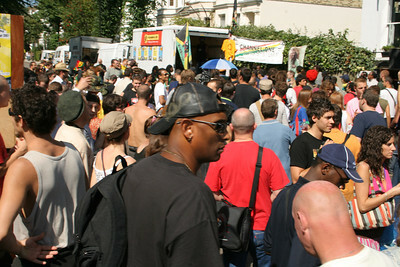 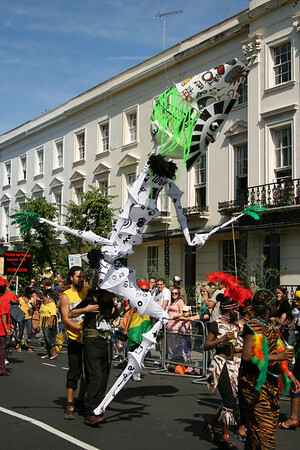 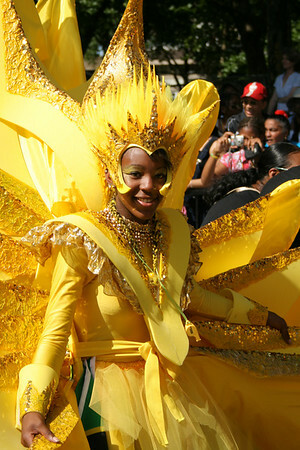 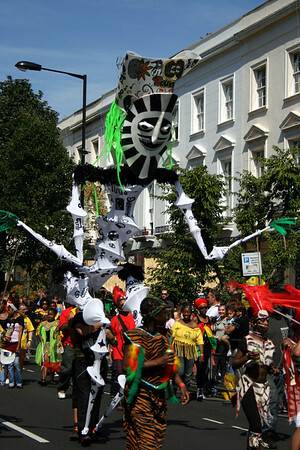 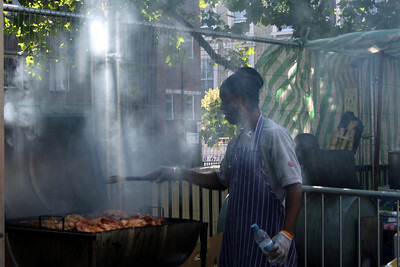 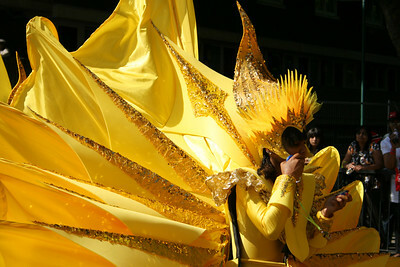 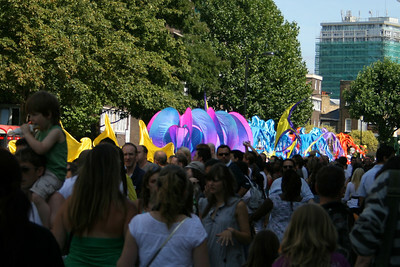 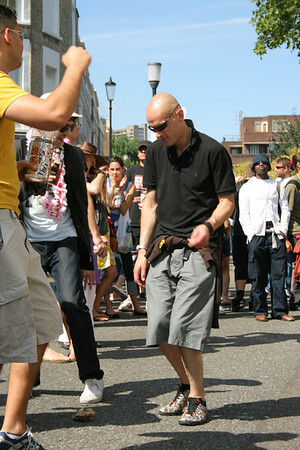 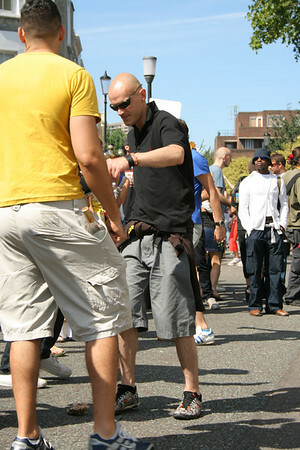 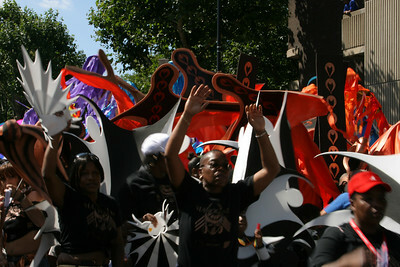 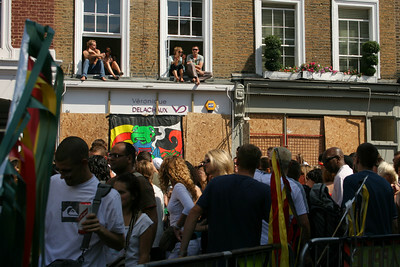 Notting Hill Carnival 2007. 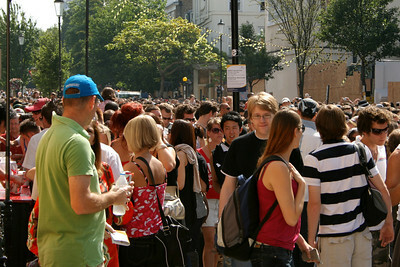 Sights and sounds with millions of people on the streets of London. 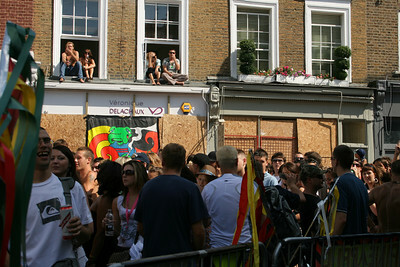 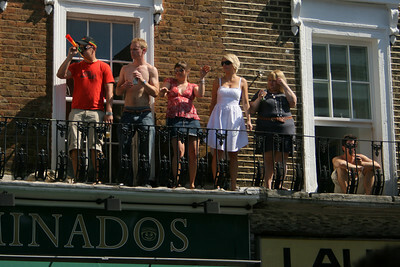 Notting Hill Carnival revellers on windowsills!